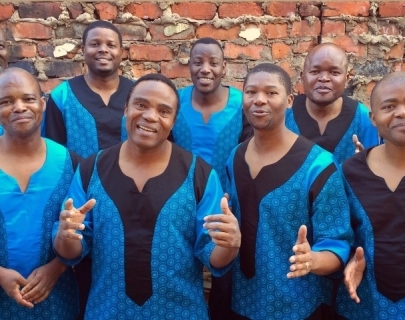 For over fifty years Ladysmith Black Mambazo have sung powerful, uplifting songs that emote the struggles and passion of South Africa. Nelson Mandela called Ladysmith “South Africa’s cultural ambassadors”. The group sing a cappella in a joyously energetic performance that combines loud powerful choruses with softer, almost whispering chants where voices blend harmoniously, and tightly-choreographed dance moves. Featured on Paul Simon’s Graceland album 25 years ago, they have toured the world since, and were re-united with Paul Simon a few years ago in the Graceland world tour. 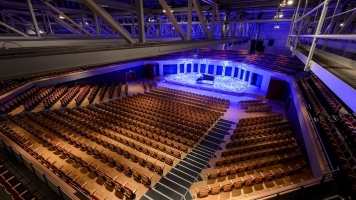 In February 2018 Ladysmith Black Mambazo was awarded the Grammy Award for Best World Music Album, the fifth Grammy Award the group has won in their long and varied career.